With over 30 years of teaching experience, Rick Jordan has learned what works – and what does not – in leading a Bible study. 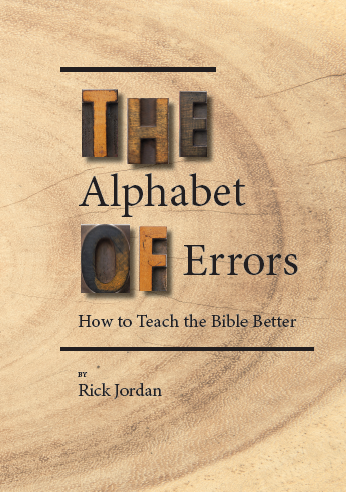 Using the alphabet, Dr. Jordan itemizes 26 errors common to Bible study teachers – such as the first three chapters on Assumptions, Bullies, and Calling on the Introvert. With humor, humility, and wisdom, the book promises to help the beginning teacher get off to a good start and to help the good teacher become a great teacher. Helpful resource for ministers who teach a Bible class, Wednesday night prayer meeting studies, etc. Subscribe to our email list to be updated about new blog posts, new books and training resources, and -coming soon! -an exciting new curriculum series.